Earth! A planet of life and a planet for life! I have always been mesmerized with the different facets associated with the beautiful creatures that dwell in different habitats! If you have followed my previous articles lately, you won’t be surprised to read this one as well! The love for creatures brings me down to explore the world of spiders! The spiders that belong to the most populous phylum of the animal kingdom are 4-paired insects ranked seventh in overall species diversity. These creatures otherwise peculiar in appearance are mostly infamous for their exclusive defense mechanisms which project them as dangerous creatures for those annoying them while they encounter! People do even feed on spiders in East Asian and South East Asian countries and yet nobody would deny the fact of how dangerous a spider bite can be! So get ready to face the villains because the top 10 dangerous spiders of the world are here! So the 10th guy on today’s list is Mr. Hobo! These spiders are brown in color and their legs have a lot of hair on them and are common in North America and Europe. Although the Hobo spider bites are relatively less frequent but toxicologists have confirmed their bites to be dangerous. The bite can result in the death of the local tissue and necrotic lesions. The symptoms include a severe headache which adamantly stays strong in the initial moments even after administrating medicines! The bites take a longer time to heal plus the bite-scars do not rub-off easily! The Sac spiders with their confusing taxonomic classification are the next on our list. The spiders are so named because they belong to a disparate group of spiders that build silken retreats, or sacs, usually on plant terminals, between leaves, under bark or under rocks. Although their bites cannot be too dangerous but potent enough to kill the cells and cause illness and irritation along with a mark in the area where it has bitten. The next dangerous spider on today’s list is the fierce looking Goliath bird eater Tarantula! Despite its name, the Goliath birdeater does not normally eat birds. As with other tarantulas, their diet consists primarily of insects. However, because of its size and opportunistic predatory behavior, it is not uncommon for this species to kill and consume a variety of small terrestrial vertebrates. The appearance can cause the fright although it is not so dangerous to humans than the spiders that are yet to follow! Its bite however still results in minor pain and swelling. Wolf spiders are cowboys of the spider world with their robust and agile hunting characteristics. They usually live and hunt solitarily and are opportunistic hunters. Wolf spiders are found in shrub lands, woodland, wet coastal forest, alpine meadows, and suburban gardens with 125 of these types are found in USA while 50 of them in Europe. Wolf spiders will inject venom if continually provoked. Symptoms of their venomous bite include swelling, mild pain and itching. The red back spider is the venomous spider that is indigenous to Australia and it is a member of the cosmopolitan genus Latrodectus, the widow spiders. Peculiarly it bites either the young or the old (although it might be a misconception). Redbacks usually prey on insects, but can capture larger animals that become entangled in the web, including other spiders and lizards. The Red back spider is responsible for far more envenomations requiring anti venom than any other creature in Australia. This spider lives in the dry areas and the most reported bites are recorded in the summer. Its bite results in vomiting, weakness in the muscles, pain along with sweating. Mouse spiders can survive in any country and environment that is available to them and yet the 13 of its species are found in Australia and Chile. The male and female Mouse spiders are different in morphological appearances with males being black and females being brown. These are aggressive creatures and would respond to anything that they deduce to be danger! Although their bites are comparatively less, yet they are very dangerous! The next spider on our list is far more deadly than the previous ones (and suddenly you realize that the spiders are getting deadlier)! The Funnel-web spiders have potentially and medically significant venom which is considered deadly, but there have been no fatalities since the introduction of modern first aid techniques and anti venom. These spiders belong to non other than the land of venoms, Australia. The bite is initially very painful, due to the size of the fangs penetrating the skin. Their bites are in fact deadly as severe cases have resulted into coma and eventually death ranging from 15 minutes to 3 hours after the bite. A slightly less effected person would undergo fever, vomiting, drooping eyelids, muscle spasms and shivering. Brazilian wandering spider or more commonly known as Armed spiders or Banana spiders are a group of aggressive and venomous spiders of potential medical significance to humans. They are mainly found in tropical South America, with one species in Central America. Venom-wise it appears as the world’s most venomous spider in Guinness Book of world records but in it needs to inject sufficient venom to take lives. At deadly concentrations, this neurotoxin causes loss of muscle control and breathing problems, resulting in paralysis and eventual asphyxiation. That’s the Black widow and suddenly you remembered Agent Natasha Romanoff! Well the red head Natasha has similar features as that of our next deadly spider Black widow-sleek, hot, red patch and yet very dangerous! 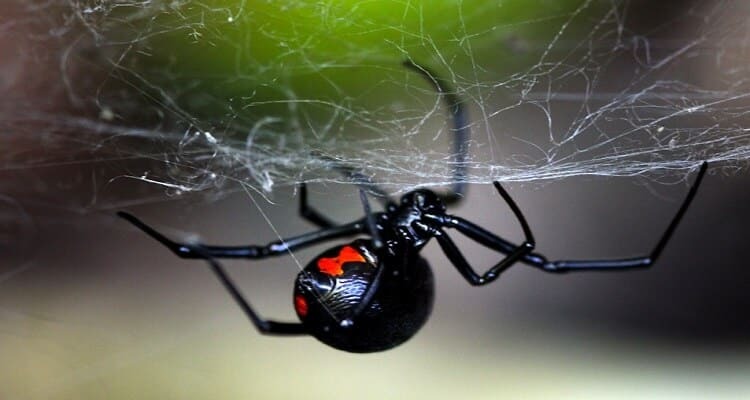 Due to the presence of latrotoxin in their venom, black widow bites are potentially dangerous and may result in systemic effects including severe muscle pain, abdominal cramps, hyperhidrosis, tachycardia, and muscle spasms. Symptoms usually last for 3–7 days, but may persist for several weeks. They tend to live in hot climate and are found in the United States where 1 percent of the total bites to the people have resulted in the death by the female black widow. Time for the most dangerous of them all and it’s time for the Brown recluse! These American spiders are usually between 6-20mm in length but may even grow longer and range in colour from ream-colored to dark brown or blackish gray. They frequently build their webs in woodpiles and sheds, closets, garages, cellars, and other places that are dry and generally undisturbed. The brown recluse spider is rarely aggressive, and bites from the species are uncommon yet its haemotoxic venom can cause serious damages! Bites usually result in fever, vomiting, shivering along with redness around the bite and swelling and can even lead to haemolysis! Spiders are omni-present! Its better if you keep you houses cleaned and be careful about their possible habitats! Not everyone is lucky enough to get transformed into Spider Man after a bite!